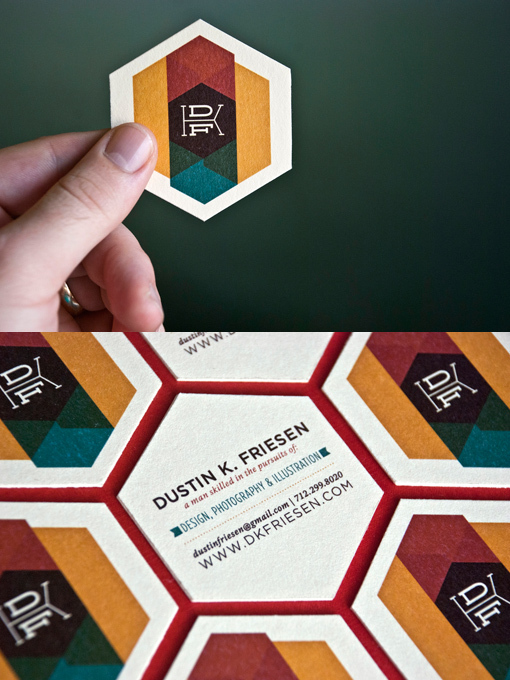 Self-promo business cards for the work of Dustin K. Friesen. Each side printed digitally on Crane's #110 Pearl White and then adhesed together (resulting in an effective #220DTC). Die-cut by hand with a rotary cutter.